Paintworx Manufacturing (Pty) Ltd is a premier manufacturer and distributor of a high quality range of Glassgo paints in South Africa. We specialise in Automotive, Industrial and Decorative paint lines. Glassgo Paints was established in 2005 and has since grown into a reputable and a formidable manufacturer and competitor in the Southern African coatings industry. 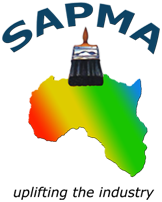 We are a proud member of SAPMA (South African Paint Manufacturers Association). Our vision and policy of delivering superb customer service and producing only the highest quality products remains our mission and standard in the industry. 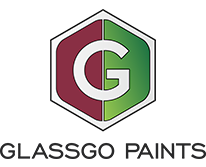 Glassgo Paints manufactures and distributes a premier range of paints for the Automotive, Industrial and Decorative industries, both locally and for export. The core of Glassgo Paints is the strategic program of our R&D and QC, this is managed by a team of highly qualified professionals who strive to ensure that our products surpass the highest standard by implementing the latest technology. Only the best grades of raw materials sourced globally by our suppliers are used in the manufacturing of our Paints. Our team continues to stay ahead of ever changing markets and develop products to suit those of our customer’s needs and demands. Glassgo Paints employs a dedicated team of technical and sales consultants. We have vast experience and knowledge which has developed over many years of service in the Paint Industry. We offer onsite training at our customer’s premises, and structured training programs at our training centre which is located at our Head Office in Boksburg, Gauteng. Our team strives to build solid business relationships with our customers, more often than not these turn into friendships. Our purpose is to consistently educate and assist our customers in transforming their productivity into profitability. Glassgo Paints understands the Paint Industries, and we are well positioned with our infrastructure to offer a full solution to our loyal and emerging customers, from “start to finish”. We firmly believe in going the extra mile!